Banks are plateaus raised above the general surface of the continental shelf to create shoals. They force local upwelling that brings nutrient-laden water close to the sunlit surface and as a consequence sustain highly productive fisheries. 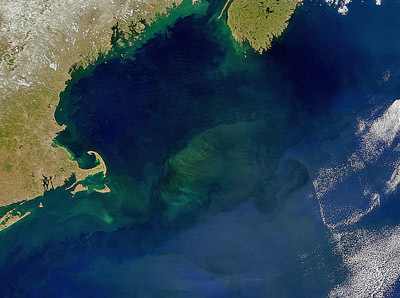 Perhaps the most famous, the Grand Banks off Newfoundland, Canada, consist of several such plateaus on the edge of North America’s Atlantic shelf. Water depths on the Banks vary from 120 to 600 ft. This is a zone of convergence for two major ocean currents: The cold Labrador Current flows south to meet the warm waters of the Gulf Stream. The mixing water enriches the nutrient supply and generates thick fogs and strong storms. 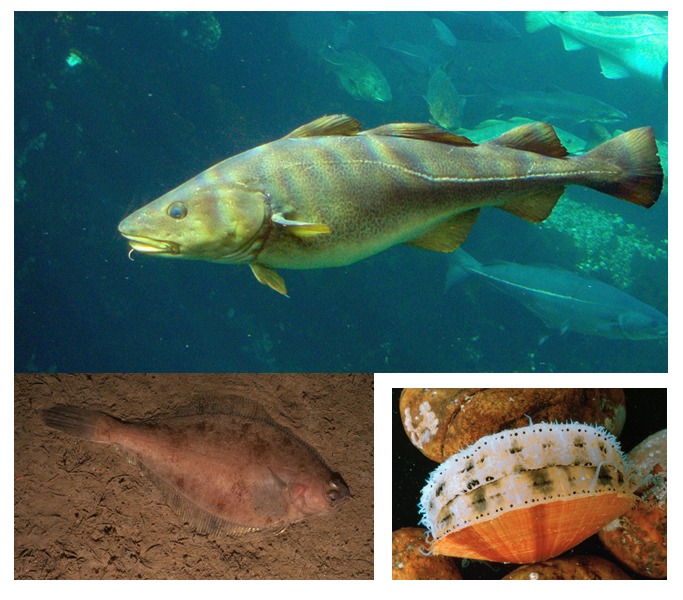 The Grand Banks are spawning, nursery, and feeding grounds for both shellfish and finfish. They were historically known for Atlantic cod, where were being caught by Basque and Portuguese fishermen well before Columbus’s voyages to the New World. Cod and Atlantic herring were also food for beluga, northern right, fin, and humpback whales, as well as grey seal. 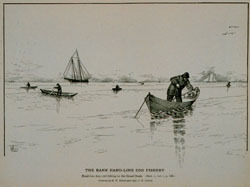 In addition to cod and herring, haddock, Atlantic halibut, American plaice, ocean perch, yellow founders, lobsters and Atlantic sea scallops were or are still commercially important on the banks of the northwest Atlantic. Other well-known banks that are rich fishing grounds are Georges Bank in the Gulf of Maine east of Cape Cod, Massachusetts; Dogger Bank in the North Sea; and Agulhas Bank off the southern coast of South Africa. Georges Bank, showing the shallow waters or shoals over the banks and the precipitous slope at the edge of the plateau (NASA).